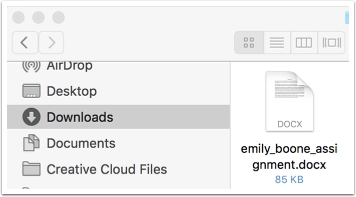 You can download a single file from your user, group, and course file storage area. Learn how to locate your user files, course files, and group files. Previous Topic:How do I delete a file or folder as a student? Next Topic:How do I download a folder in ZIP format as a student? Table of Contents > Files > How do I download a single file as a student?